We are not only blocking attempts of website scraping but also monitoring any copying of your content and its usage on other websites. In case we detect theft of the content, we contact Google and fill out Takedown Request. Our specially designed module blocks any possible attempts of scraping and copying of the content from your website by any scraping bots. 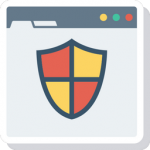 Also, our module protects you against hacking attacks, attempts to hack your passwords and scraping of the images and videos from your website. Your data is transferred to protected area of our server, after which a daily/weekly automated plagiarism check is performed. In case we detect the theft of the content, our module will send a notification warning to you and to us. On your request one of our specialists will prepare all the necessary information to submit report to Google and Bing to remove the thief website from the search results. Moreover, we submit complaints to the hosting provider of the sites that are using your content. Every day our software automatically checks your content for plagiarism and in case of theft it gives you the address of the site and the amount of stolen data. After our modules are installed, page loading speed of the website increases on average by 30%. This has a positive effect on SEO and significantly improves user experience. Our modules determine whether a human or a bot visits your website and block harmful bots. At the same time, they give access to humans and good bots from Google & Bing. One of the main ranking factor in Google is the uniqueness of the content. You shouldn’t wait for the ranking to go lower and for your content to lose its uniqueness. In case of content theft detection, our specialist contacts search systems and submits a request for removal of the website thief from Search Engine Results Pages. Your content is kept in your personal account on our server. In case you lose some data on your website, you can restore all the pages that were published on your site earlier. The most important thing on your website is your content. As soon as it loses its uniqueness, search engines are usually dropping your website’s rankings and, as a result, you lose your traffic and sales. The site’s content is directly related to your ranking in search systems and has a direct influence on your traffic and sales from your website. Once your content starts showing on other resources, search engines think that the content lost its uniqueness and its value. Therefore, search engines would rather choose your competitor and give them a better ranking as they will have unique content which means great value for users. Content can be stolen, multiplied on other sites by your competitors, dishonest webmasters, sometimes the doubling of your content may happen on your own site as well, due to imperfection of some CMS. Google treats this very negatively and even slightest duplicating can lead to sanctions from search systems, drop of SEO ranking and site block in search engines. Our service will help you track and prevent the copying of your content, block the content thieves in search systems and keep SEO ranking. Your content will never lose its uniqueness which means that SEO ranking will go higher and you don’t need to fear of sanctions. Our module will not allow to copy the content from your website by automated bots and utilities. We block all the robots right from the first pages of your website. If your website is copied and someone attempts to present themselves as your brand, our specialists will contact the hosting and search systems and will block the websites thieves from the network.